Thank you for attending the 2018 Spring Oregon Recruiters Recruiting Conference! We hope you enjoyed the opportunity to learn and network with other Pacific Northwest recruiting professionals. 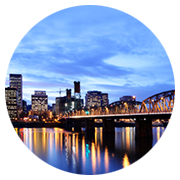 We’re an informal network of 3,000+ Oregon Corporate, Consulting, Search Firm Recruiters & HR professionals.